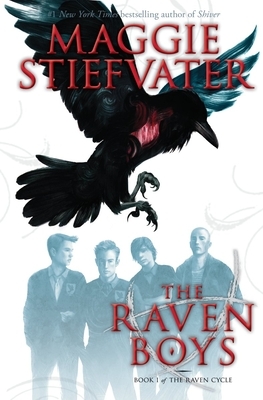 I am constantly recommending this entire series (four books) because of it's attention to detail and the complete devotion to characters that Stiefvater gives to every single character that you find yourself always rooting for everyone (even the bad ones!). The plot is so mysterious and things are never what you expect. I haven't enjoyed a series this much since Harry Potter. Psychics, curses, sleeping Welsh Kings, ghosts, baby ravens, and orange Cameros. What more could you want? This is not just a story about a girl and the four boys that change her life forever. It's a story about the strange, magnetic, and vicious bonds that hold people together. It's a story about pride, and love, and the inexplicable way that the past and the future bend into one another. It's a story about magic-- in it's best and worst forms. Stiefvater is a writer of extreme humanity, humor, and skill. Her stories weave from funny to heartwrenching to terrifying in an instant. All you have to do is hold on.